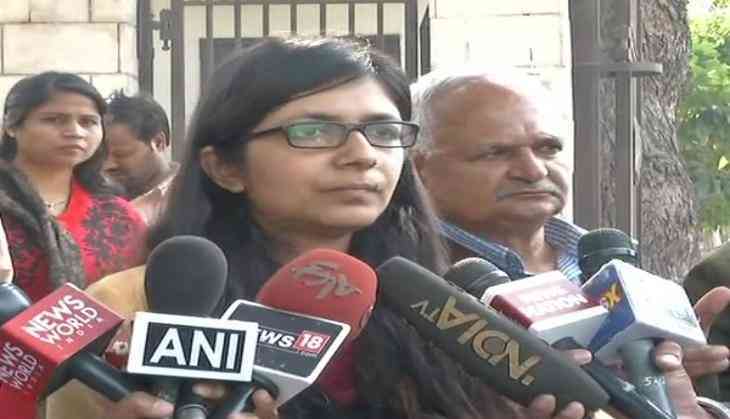 Delhi Commission for Women (DCW) Chief Swati Maliwal on 22 December said the High Court had directed the Central Bureau of Investigation (CBI) to investigate the alleged illegal confinement of girls and women in an ashram owned by Baba Virender Dikshit and had asked the accused baba to appear before it. "The High Court has ordered accused Baba Virender Dev Dikshit to appear before it. It was learnt that there are eight more ashrams of the baba in Delhi. DCW requested the inspection of these ashrams," Maliwal told media here. Maliwal also added the High Court had ordered DCW, the Delhi Police and two senior lawyers to inspect the matter. "More than 40 girls who were kept under illegal confinement have been rescued from an ashram in Delhi's Rohini. Baba Virendra Dev Diskhit should be arrested immediately. The High Court has also ordered DCW, the Delhi Police and two senior lawyers to inspect the matter," she added. Maliwal also tweeted yesterday: "Finally, after three days, in a mammoth operation, 41 minor girls were rescued from Baba Virender Dikshit Ashram with the help of CWC and the Delhi Police. These girls will now be counselled; their parents will be contacted and their ages will be verified. This place needs to be shut and the baba should be arrested!"